I wasn’t always such an avid wine enthusiast. In fact, I didn’t enjoy my first glass of vino until I was 21, attending a wine and cheese social hosted by my university’s graduate department. I slugged it back as though it were fruit juice. When I moved to Paris, wine became daily bread. Not only was it cheap and accessible, undercutting the price of bottled water, but heck, when in France, do as the French, right? They’ve only dedicated their entire lush soil to the cultivation of grapevines, and wine types like Bordeaux and Beaujolais are actually named for French regions. So you’d literally have to be living under a rock to ignore the cornerstone place of wine in the French day-to-day. Believe it or not, Lebanon has honed my appreciation of the grape derivative by huge strides. Over the past decade, the country has seen a proliferation of vineyards from as north as the hills of Batroun to as south as the perches of Jezzine, and that’s besides the fertile Bekaa valley where the majority of wineries cultivate their grapes. There are presently three dozen active wineries, and one that I’ve highlighted in recent months, as its prominence climbs to international heights, is Château Marsyas. 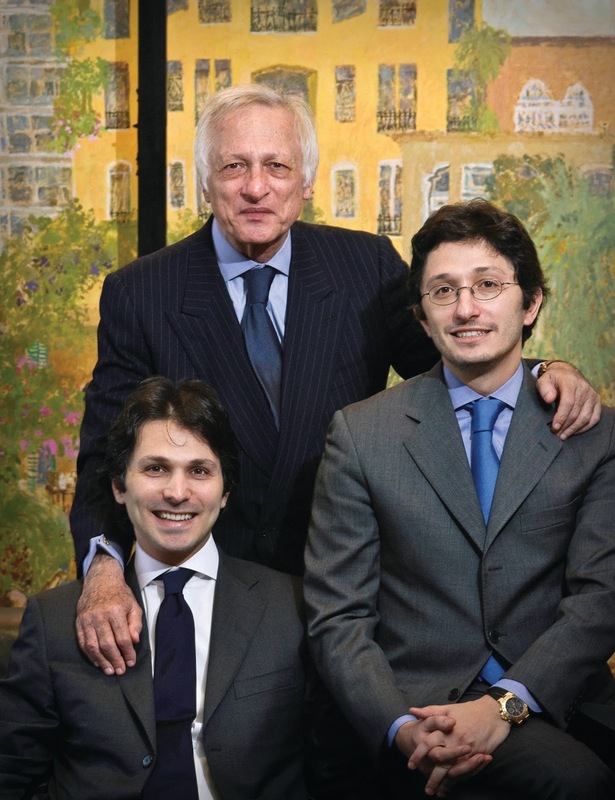 Owned by brothers Karim and Sandro Saadé, Marsyas was the dream of their father Johnny, who was eternally passionate about wine. Bordeaux was his favorite, and in later years, he became mesmerized with Côtes du Rhone reds. In 1998, the family decided to transform dream into reality. Carving out a wine enterprise in Bordeaux seemed the obvious choice, but a eureka moment convinced them to turn their attention inward, on their Levantine homeland. They started scouring for terroirs in both Syria and Lebanon, the countries of their family heritage. Five years of study and patient reflection culminated in the selection of virgin land in Lebanon’s Bekaa valley for Château Marsyas. Sister label Domaine de Bargylus made its home in the ancient coastal city of Laodicea (modern Lattakia). With “wine is rooted in earth” as their guiding principle and renowned wine consultant Stephane Derenoncourt by their side, the Saadés embarked on their new adventure. Marsyas sits nearly 1,000 meters above sea level, spread across 65 hectares of soil formed from red clay and limestone. Pesticides and herbicides are rejected altogether, and the soils are regularly maintained to avoid any compactions, allowing for good oxygenation and the absorption of organic materials. Grapes are harvested by hand, gathered in small crates and sorted twice before being fed by conveyor to protect the fruit. The final product comprises 65% cabernet sauvignon, 20% Syrah, 10% merlot, and 5% petit verdot. 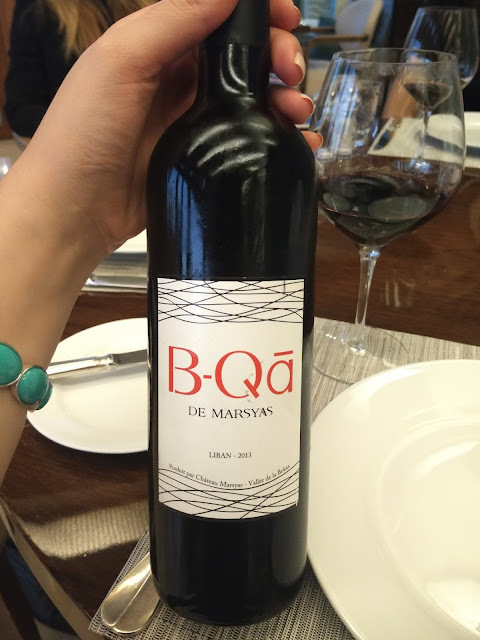 In 2013, the estate witnessed a bigger yield, and it was then that the Saadé brothers decided to kickstart the production of B-Qā de Marsyas, to be positioned among quality Lebanese mid-range wines. The result of careful parcel selection for younger vines, B-Qā brings together 70% cabernet sauvignon, 20% Syrah, and 10% mourvèdre. Thus, B-Qā, named in honor of the valley from which it issues forth, shares the same vineyards of its elder brother Marsyas and is borne from the same rigorous qualitative philosophy of manual work, green harvesting and low yields. The difference is in the maturation time of 6-8 months in French barrels, which fosters a beautiful aromatic balance and well-integrated tannins. With red fruits on the nose followed by hints of earthy spices, B-Qā is elegant and round, with a long and savory finish on fruits and freshness. 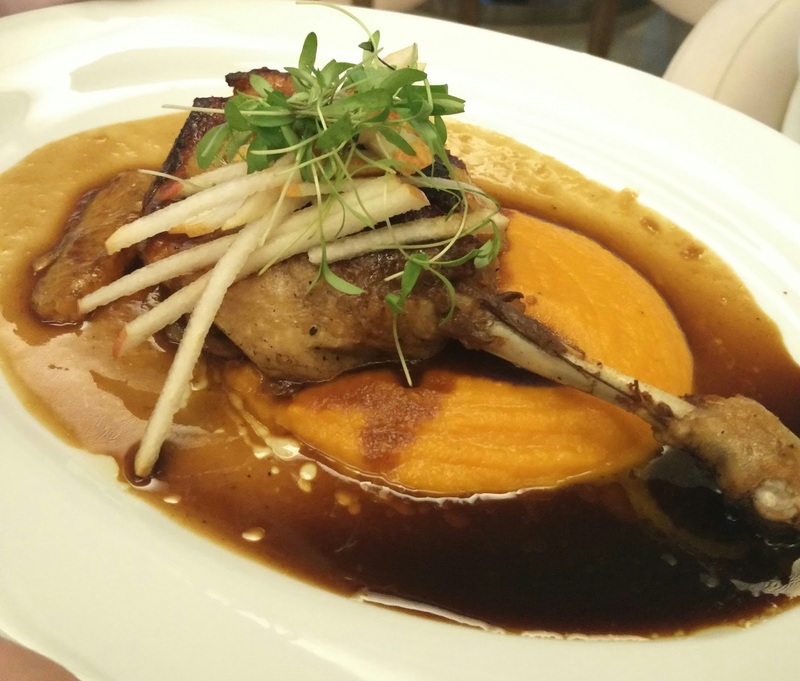 Served chilled, it vies with a white wine for its light crispness and smooth aging potential. At room temperature, B-Qā’s relatively high alcohol content (15%) is palpable. B-Qā de Marsyas’ retail price is LBP 24,000 (USD 16), in contrast to the high-end Chateau Marsyas wine, whose reds go for LBP 40,000 and whites, for LBP 35,000. Thus, target clientele tend to be younger, sophisticated, wine-appreciating folks who are at once price- and quality-conscious. What’s the point of a great wine if you don’t know what complements it? For that, I headed to one of my favorite venues in Beirut to pick at the brains of some of the most brilliant minds in the industry. 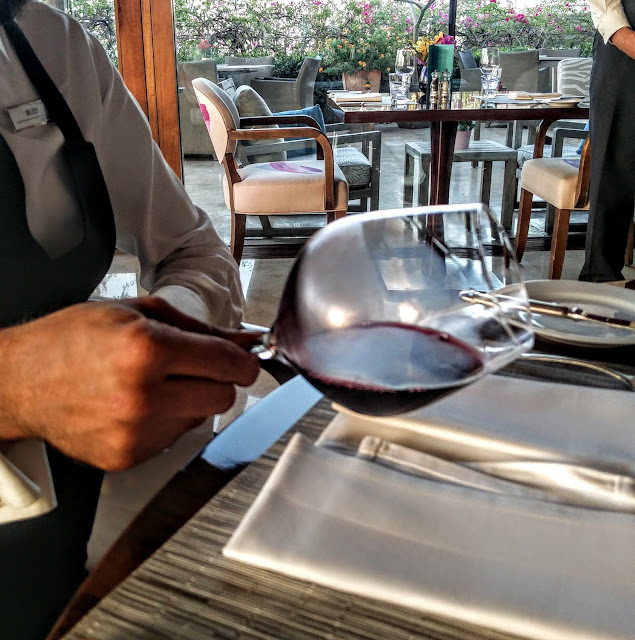 At Le Gray’s Indigo on the Roof, the resident sommelier treated us to a lesson in food pairing, drawing on Executive Chef Darren Andow’s unmatched cuisine. On the menu, a creamy goat cheese and beetroot salad garnished with green apple, candied walnuts, and cress. 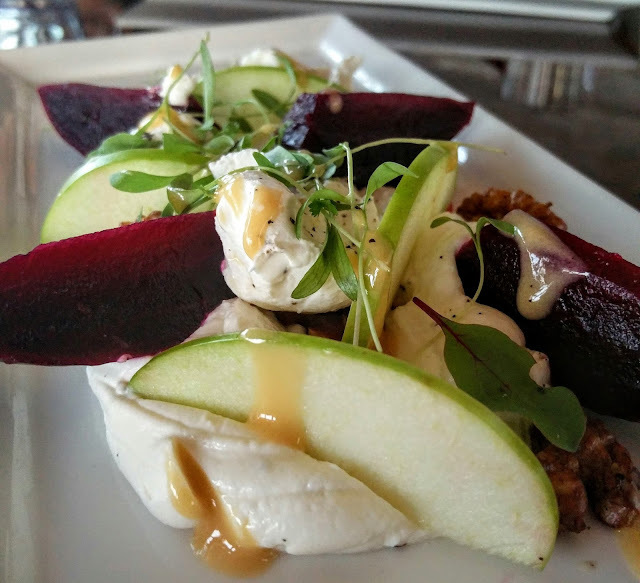 Chèvre highlights the acidity of the wine, and the rule of thumb with younger wines is to generally opt for lighter, silky cheeses. 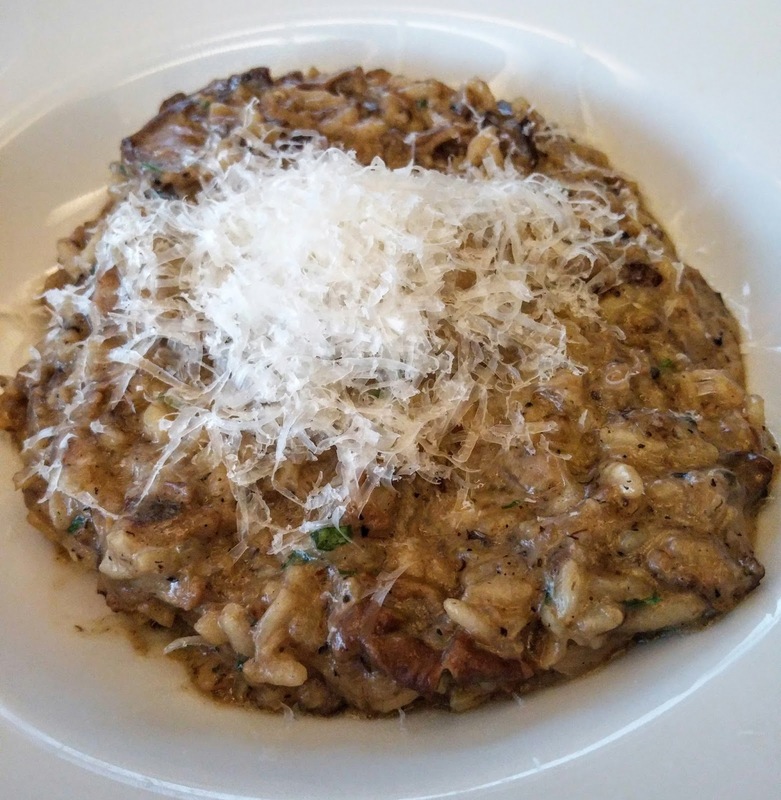 A wild mushroom risotto with barely-there truffle oil does not overwhelm the taste of B-Qā, but a citrus or heavily truffé number would. Best to stick to the mushroom and asparagus varieties. 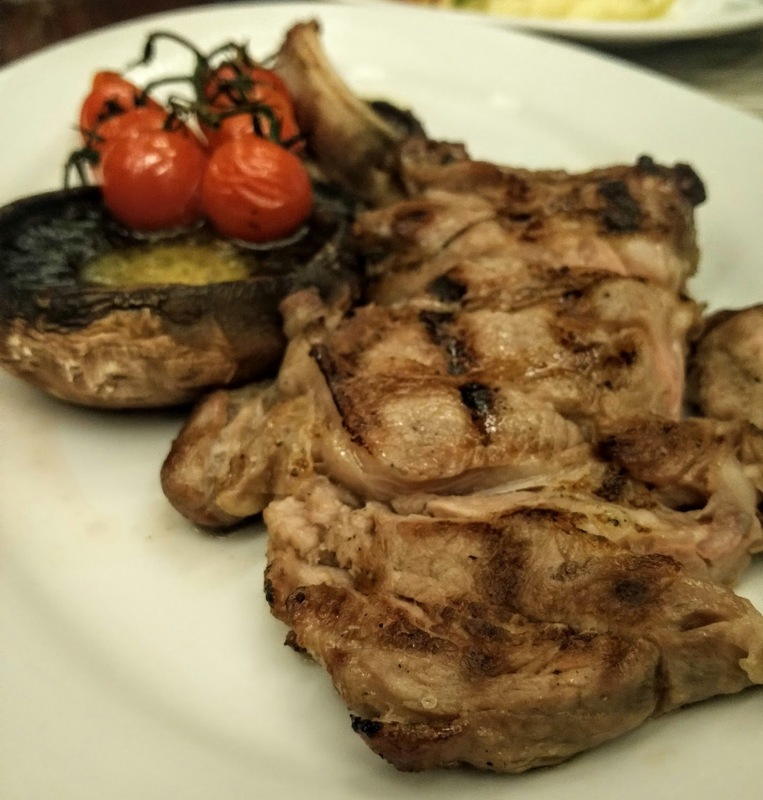 At room temperature, B-Qā de Marsyas works wondrously with rich, juicy meats like duck and veal, so we gorged on roasted canard à l’orange with carrot purée, Asian pears and gratin potatoes, followed by char-grilled veal chops with Portobello mushrooms and Roquefort cream. 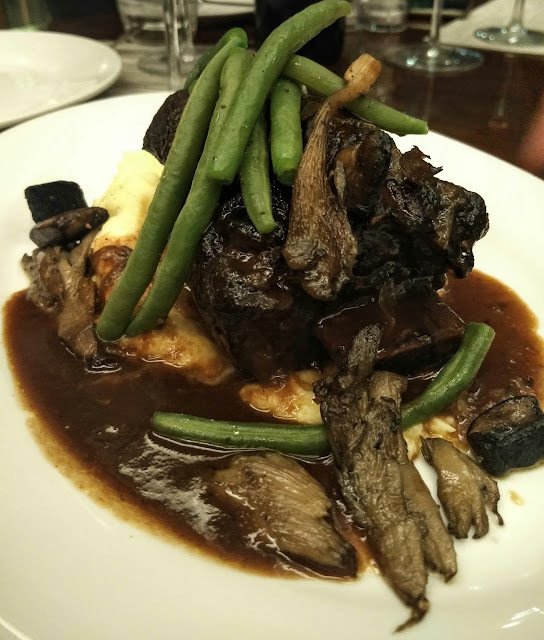 In its chilled state, the red potion spellbinds with braised beef short ribs accompanied by garlic potato purée and red wine sauce. When it comes to seafood, lean white fish washes down well with room-temperature B-Qā, whereas the fattier types (e.g., salmon) are better suited to the chilled wine. Bottom line with food and wine compatibility: neither should affect the taste profile of the other. The wine should only flush and cleanse the palate, all whilst leaving the taste buds intact. Château Marsyas and younger brother B-Qā give us Lebanese every reason to be “so damn proud,” as Andrew Jefford of Decanter.com put it. Built on the tenets of perseverance, hard work, and commitment to the country’s future despite the tumult surrounding it, these wines are steeped in symbolism. YOU READ IT HERE FIRST: B-Qā will soon be welcoming a white wine to its family, due out this year, which means B-Qā will comprise one red and one white per vintage! I cannot wait to sample the new millésime. A wine so versatile that it can be enjoyed summer or winter, chilled or at room temperature, with a host of meats, cheeses, and fish. A wine that is at once luxurious and affordable, young and elegant, light and bold. B-Qā in all its forms is a wine to cherish, from the first swirl to the very last sip. Make sure you savor its story. 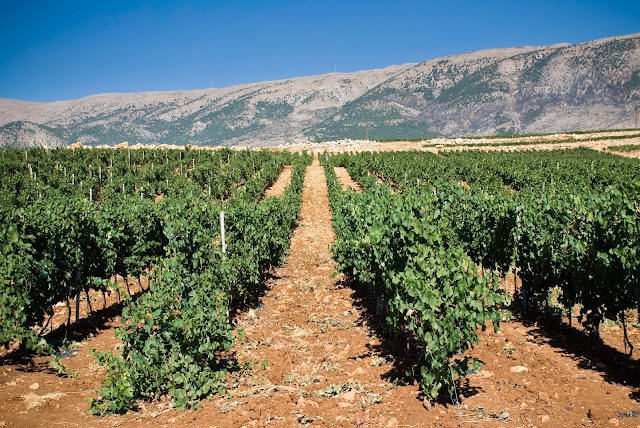 Rooted in the Levant, the Johnny R. Saadé family translates its passion for vines into the creation of Château Marsyas in the southern part of the Bekaa Valley. Renowned for its wine culture, this ancient land reveals itself to be an exceptional place for the production of a great wine in line with the highest quality standards. Located at an altitude of 1,000 meters, Château Marsyas is a family initiative founded on the search for excellence. I am not a fan of Marsyas and B Qa I found them very light to my taste, I prefer BAAL! Iam a big fan of Le Grey, I've been to Indigo many times, the food is fine and the service was terrible. Hope they can improve the service in their restaurants and in the hotel as well. Hi Johnny, that's too bad! That "lightness" is exactly what I adore in Marsyas/B-Qa. Do you usual savor the reds chilled or at room temperature? You'll appreciate their boldness and presence of alcohol content when they're not chilled. Also try sister winery Domaine de Bargylus, whose composition is predominantly Syrah. With respect to Le Gray, I'm sorry to hear you've had less than impressive experiences with their service. Please shoot me an email with your contact info, and I'll ask the marketing manager to connect with you.